The shortest month in the year is here but also the most romantic one. Well, not everybody thinks so. 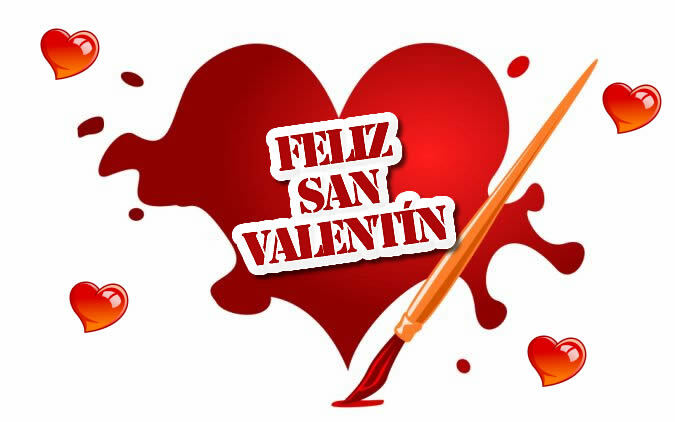 On the 14th of February, most of couples celebrate Saint Valentine’s Day all over the world. Maybe you think it’s just another commercial day; perhaps you are right but, why don’t you accept a present from www.spanishviaskype.com? We are not giving you chocolates, flowers or watches…, however, we can offer you some expressions related to amor (love). If you are in Spain and you hear estoy (enamorado/a) hasta las trancas de ti, you will have won that person’s heart. Las trancas were a kind of stick that were put behind a door in order to close and secure it. When a big flood happened, and the water reached that stick’s level, people were in problems. So, for us, love overflows our heart. That is the moment when tus ojos te hacen chiribitas. How can you know if your lover is really in love with you? Stare at his or her eyes and notice if sus ojos le hacen chiribitas. Las chiribitas are sparks; so if your lover’s eyes lit up, tendrás a tu enamorado en el bote. Tener a alguien en el bote (literally, to have somebody in the jar) means that person is crazy about me or, even he or she is eating out of my hand. That person inside the jar está colada por ti. Estar colado por alguien means to be smitten by someone. But the verb colar means to strain a liquid or to leak. So, love is again like water, not a flood this time but tiny drops which are leaking through your heart. Don’t worry if you are not married or engaged, on Saint Valentine’s Day, go out and look for that special person for you; don’t be afraid and tell him or her you estás hasta las trancas, tus ojos te hacen chiribitas cuando lo o la ves, que te tiene en el bote y que estás colado por él o por ella. And if you want to tell this in Spanish, don’t hesitate and reserve a free trial lesson with us here via Skype Te enamorarás de nosotros (you will fall in love with us).